Great cleanser in every way, as far as I can tell, leaves no residual makeup and doesn’t make the skin feel stripped. But if you have sensitive eyes (like me), this will sting, very much, for a long time. Absolutely love this cleanser. I've always struggled to find a cleanser that leaves the oiler parts of my t-zone nice and clean, without aggravating my drier patches. Skin feels soft, balanced and clean after use, no tightness or stripped feeling. Only a tiny amount is needed and I find I can continue to build the lather nicely by rinsing my hands and continuing to massage into the face. I remove my makeup first with a damp microfibre cloth or cleansing oil and use this as my second cleanse in the evening, and every morning. Gentle, no fragrance, great ingredients, doesn't irritate eyes, skin fells soft, fresh and clean. Holy Grail! Great face wash if you get oily during the day but also suffer from sensitive and or dry patches. It leaves no traces of makeup on your face and is also fragrance free so you can ensure that you will not suffer any irritation. Wonderful product; cleanses your skin squeaky clean without dry feeling. Creamy mousse leaves skin soft and minimizes pores instantly. Also very sufficient, small amount is enough and the bottle will last ages even when used twice a day. I love this cleanser. This is my favorite out of the Paula's Choice range. Doesn't have any fragrance and really gentle on the skin. Plus you feel like your face is really clean after you use this. Doesn't strip the skin. Dissolves easily. I have combination skin so this is perfect for me. When my skin is more on the dry side, I used the Paula's Choice Resist Cleanser for dry skin. This one is my most favorite though. Maria - HG cleanser for my combination skin! This is my go-to cleanser for most of the year. Even small amount creates lovely lather, removes make up and doesn't strip skin. The bigger bottle is a great bargain! First of all this is a great cleanser! I have bought a few different drugstore facial cleansers over the years, but this one is definitely in a league of its own. 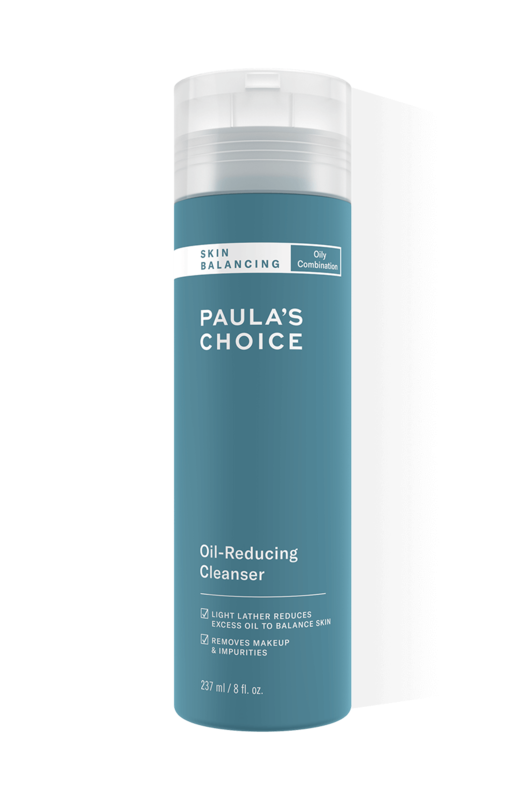 Now this is my first Paula's Choice cleanser, so I do not know if they have one which is potentially even better for my skin. After using this cleanser I was amazed at how good a facial cleanser can be. It's very gentle on skin, leaving my skin really soft and smooth. Skin feels clean, but not dehydrated at all. It has an amazing feel on the skin while you're massaging it into your face. It feels like a very soft lightweight cushiony foam.This size will last for a really long time and considering the amount you get, its quite cheap. This cleanser seams to reduce the slight irritation caused by the Benzoyl Peroxide gel I use against acne. But if your skin cannot tolerate a product, I wouldn't expect using this cleanser to suddenly fix that. I was not expecting anything out of the ordinary, but I was really pleasantly surprised. I have started using a few good Paula's Choice products, but this might actually be one of my favorites so far. Now this is just a cleanser. It just gently cleans skin, so don't expect anything more than that. But it does it that superbly for my acne-prone somewhat oily skin. A perfect cleanser for my skin type (combination, oily, dry patches). It easily removes even waterproof makeup without irritating or drying out the skin. Love it! Wonderful cleanser!! dosen't leave my face dry or tight. I have combination skin, with a lot more breakouts before using PC products, and the combination of a good gentle cleanser mixed with other wonderful products have made my skin quite good. I also love to wash away excess eye makeup with this, after I removed it with a remover. so a wonderful cleanser, highly reccomend it!! I had second thoughts on this product when I first started using it for it managed to get me a few huge deep and sore breakouts on my chin area and jaw line, almost to the point of stop using it but I did stick to it, hoping for it to work and it did! I had never suffered from breakouts, not even in my teens. It was rather scary, fortunately they completely cleared away. It has also been a successful redness control product for the last six weeks as well as the most gentle cleanser even if suffering from occasional Dermatitis Seborrheic, which I sometimes do. Now, it does not do a single thing on reducing my pores nor clearing blackheads or clogged pores, but lets honest, those are so stubborn that they need extra help. This cleanser would deserve the 5 stars if it wasn't for its smell. Is a non scented product, which doesn't mean it's odour-free, it actually smells a bit weird and I haven't managed to overcome the fact that I wish it had a nicer smell, that odour lingers about the skin for a while. On the other hand, it is so effective, a small amount of this creamy, pearlescent cleanser and the skin remains squeaky clean with no residue whatsoever. I'm happy with my 473ml bottle that will last me for a great while. Sabina - Wonderful cleanser for combination skin! Maiken - It did not do the job for me! I love a lot about this cleanser: it is very gentle, the texture is like silk, and it does not dry out my skin. But unfortunately it does not do the job for me. My skin is oily, has breakouts and large pores. After using this cleanser, my skin was still oily, it didn't reduce my breakouts, and it did not clean my pores! So I changed to the CLEAR cleanser, and that worked!! I love this cleanser. It leaves your face perfectly clean without drying effects nor irritation. It's perfect for combination to oily skin. It's the best cleanser I ever tried. The only complaint is about packaging. It's not easy to serve exactly the amount you need and the plastic mechanist looks too much fragile. Even so, I'm very thankful with results: bye bye greasy irritated tight skin. I like this cleanser a lot. Maybe in the winter my skin would need a more nourishing cleanser but that is another story. I like how it takes away all of my makeup but doesn't make my face all squeaky and dry. I like how it foams up and rinses clean really easily. I like that it has no fragrance added but it doesn't smell weird like some unscented products do. But, though, I don't really like the packaging. That is why I only gave it a 4. I think it could be a bit more user friendly. When it is getting emtier it is getting a bit hard to squeeze out the product. It is good that the bottle is sturdy and not flimsy but it is a little hard to handle it because of its sturdyness. Maybe a sgueezy tube would be better I think. But maybe it's just me who can't operate it properly :) But all in all, I like the product and that is the most important thing. And I have liked all of the PC products I have tried and I use a lot of them on a daily basis. Great Job! I have combination/oily skin with blackheads and issues with rosacea and eczema. Most cleansers leave my skin tight and red. This cleanser cleanses my skin thoroughly without leaving it dry or irritated, however it does sting my eyes and leave them slightly irritated. I find the Hydralight One Step Face Cleanser more gentle on my skin and eyes, but for me the Skin Balancing one is more effective in removing oil and eye make-up, so I use this one too. All in all, I think this is a wonderful cleanser and I would recommend it to anyone with normal to oily skin that is not overly sensitive. What's sodium hydroxide doing in new formula? Even Paula says this is an irritant. Shouldn't her cosmetic be without irritants? Some info about sodium hydroxide: " Solutions as weak as .12% have shown to destruct healthy skin cells within one hour. It is classified as "expected to be toxic or harmful" and one or more animal studies show brain and nervous system, metabolic, and sense organ effects at very low doses and there are warnings regarding using this ingredient around the eyes or mouth..."
I would give the new formula 5 stars, but because of that I m giving it 1. Please put out this ingredient. I'm sure you can replace it with a better one.Customer Care : Thank you for sharing your concerns with us. We will certainly pass along your feedback and suggestions to Paula! We would stress that Paula's Choice products are based on science and have research backing up the safety and efficacy of each ingreditent. Paula would not put anything in the product that has been proven to be harmful or detrimental to the skin. I have been using this cleanser for about 4 years. I like the grainy feel (ever so slightly) that this wash has as I feel that it takes away the dead skin without beeing too harsh on the skin. Amazingly, after I dry my face with a towel my face never feels tight, dry and uncomfortable as other products out there did (and were meant for combination skin!). It looses a star beacuse it doesn't remove waterproof mascara.Customer Care : Thank you for your review. For removing waterproof mascara we can advise our Gentle Touch Makeup Remover. This is a dual-phase solution that quickly removes all makeup and is particularly adept at removing waterproof mascara, stay-put foundation, or all-day lipsticks. Goes above and beyond by providing antioxidants and anti-irritants and will not leave an oily residue or sting the eyes. This mild makeup remover was carefully formulated for delicate eyelashes and the fragile skin around the eyes. In the last 2 years I have tried and checked ingredients for houndreds of face cleansers. I was avoiding Paula's products just because of shipping cost (14eur). My skin is oily and very sensitive. Products that ingredients were safe and good for my tipe of skin made me dry patches or they made my skin more oily. I am so thankful to Paula, she is really trying to do a change on beauty market (I feel she's the only one). And I am so ungry to other companies! Especially to pharmacies companies (Avene, La Roche Posay..) - shame on them!!! From first look their face cleansers for sensitive skin are ok. But checking every ingredient....well, or they have extremly drying ingredient or dangerous ingredients or even parfum?! And then they say: It's fault of smoking, bad food, stress, polution...But they don't say that is fault of bad cosmetics! I hope Paula will continue with her extremely good job and I hope she will stay strong if they willl try to corrupt her. I wish to meet her and shake her hand (unfortunately I don't think this will happen). It's time for us to wake up! Time to check what we are buying. Time to buy only good things, and leave "poisons in bottles" aside. It's time for companies to provide us safe things or to shut down the business. People, wake up and don't trust them. Check ingredients, especially products for babies and kids - from what I have seen I can only feel pity for mothers buying these poisons! Sorry for my bla bla :) This face cleanser is great and I will keep ordering it for a long time. Very foamy, small quantity needed and leaves skin feeling very clean. Removes most make up but not all of mascara. Maybe it is because I have always had scented products before and I am sensitive to smell, but the nonscented smell of this product, I find very unpleasant. Otherwise great. I have combination skin and this cleanser leaves my skin soft and clean without dry it. I absolutely recommend it and it has a good smell too. Daniel - Cleansing without dryness is possible! I never thought in a million years that it was possible to use a cleanser without completely drying out your skin. Clearly, I was wrong! Some people are complaining about the smell. You people must've never used fragrance free products before, this is what fragrance free smells like! Bianca, I completely agree with you. This cleanser does wonders to my skin, but that smell... I read your review and I thought: that can't be that bad. So I ordered a sample and after using it once, I could't get myself to use it another time. But it's working for my skin very good! So now I'm ordering the hydralight one step face cleanser, works just fine for my skin too. I got this in the trial size, luckily. It does a great job cleaning my face and removing make up in one go. Also, it leaves my combination skin feeling lovely. However, I just cannot get past the smell of this product. I found it really irritating and will not purchase a full size because of it. What a pity! Customer Care: What you smell is the scent of one or more of the ingredients used for the production of the Skin Balancing Cleanser. The smell of this product can be interpreted differently from one customer to the next based on their sensitivity level. jenny - i love paula! I'm very happy with all of the products. The cleanser works very well. Hardly leaves any traces of make-up. Also my face doesn't feel dry or flaky after using it. And...a little goes a long way! I've been using the Skin Balancing Cleanser for four years and I just love it. Although it is formulated for combination/ oily skin, it doesn't leave my skin feeling dry. Another plus is the fact that a little amount goes a long way thus making it last a lot more than other facial cleansers I've tried before. This is my daily cleanser which cleans my skin without leaving skin greasy or dry. It really cleans perfectly without the need of a toner and prepares the skin for the next skincare product. Thanks a lot Paula!.